I am still at go slow pace at the moment, only able to do small stints at the sewing machine. Despite the frustrating lack of mobility, I have managed to get some fun things done. This week has also seen my Star Cross blocks from last week grow in number. I am working low tech for this one, using coloured pencils to pre-mark the patterns. If you missed last week’s post you can find it and the free paper pieced pattern here. 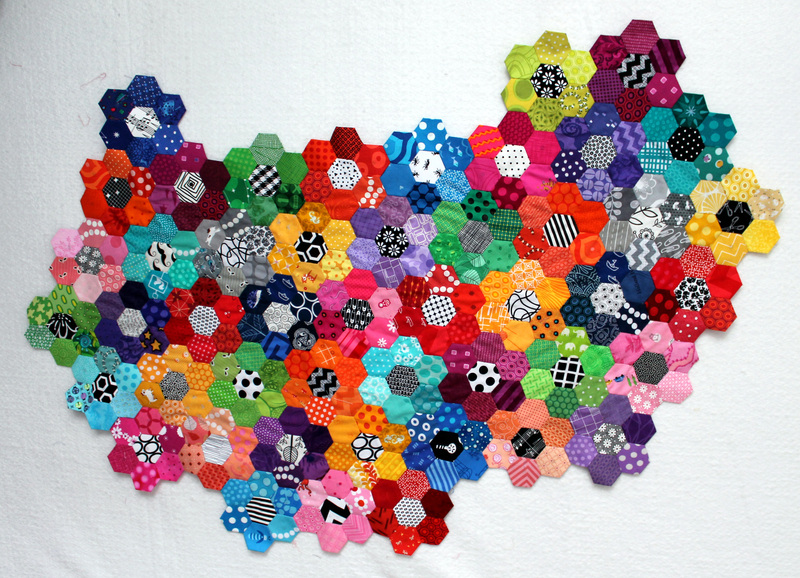 And last, but not at all least, my hexagon quilt has been slowly growing. I am now heading back to the couch to rest, watch more Toddlers and Tiara’s and add a few more hexie flowers to my quilt. I love the colors in your block…nicely done! I am totally in love with those paper pieced blocks! Loving seeing the progress. Both quilts look awesome! I especially like the the Xs one. The star crossed blocks are so perfect. I love watching them grow. Gosh, your work is just stunning! I love it all! I can hardly wait to get to paper piecing one of these days! great blocks and love the hexies!! glad you’re keeping things fun, even without being able to sit at the machine for very long! I love your hexies! 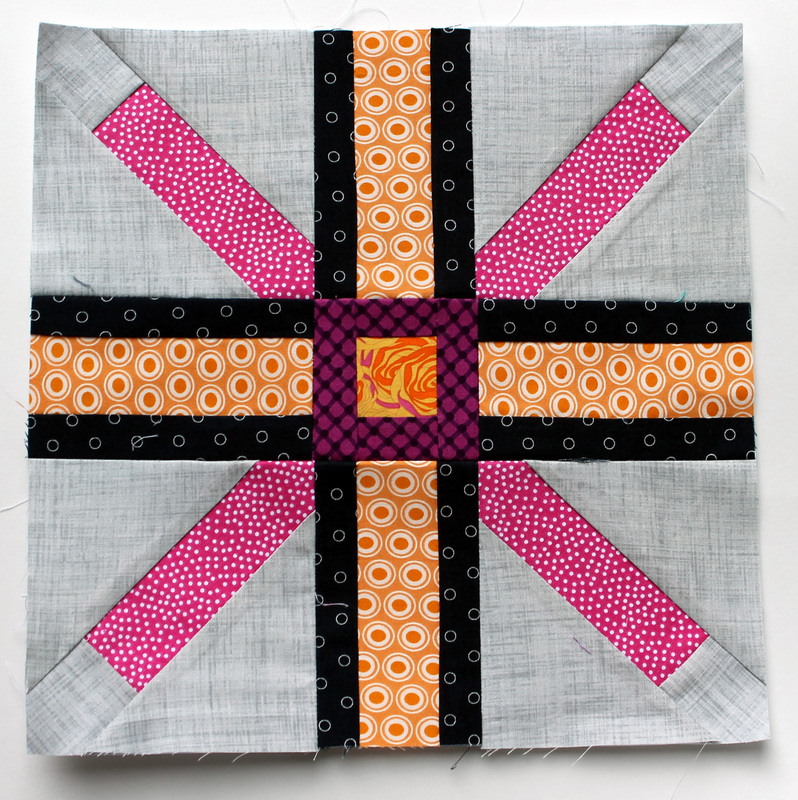 I’ve done some epp lately and I’m in love… your bright colors are so fun! I can not believe how addictive epp is. I have been forced to do a lot of hexies lately and I still enjoy it. I find it very relaxing and you can take them just about anywhere. Michelle it was such a fun pattern to play with. Good job. Love how your cross stars are coming along. Nothing wrong with low tech – one of my favourite parts of quilting is the designing stage where I get to colour in my picture. Ahhh takes me right back! Gorgeous Projects!!! The blocks are fantastic!!! Wow! All of these WIPs are gorgeous! That hex quilt is stunning! I wish I had the patience to paper piece. Hope you are on the mend soon. Love the projects you are working on. I just adore the Star Cross blocks in those colours! Your star cross blocks are amazing! I can’t wait to see them finished! I love your star cross blocks and the colors you are using! Hexagons are a great way to heal. Where would we be without coloured pencils? The ones that still have your name on them from your schooldays are the best! I am using pencils with my husband’s name carved in them. You are right that there is something nice about using them. WIP Wednesday is such a great part of my week. Thank you so much for hosting it. 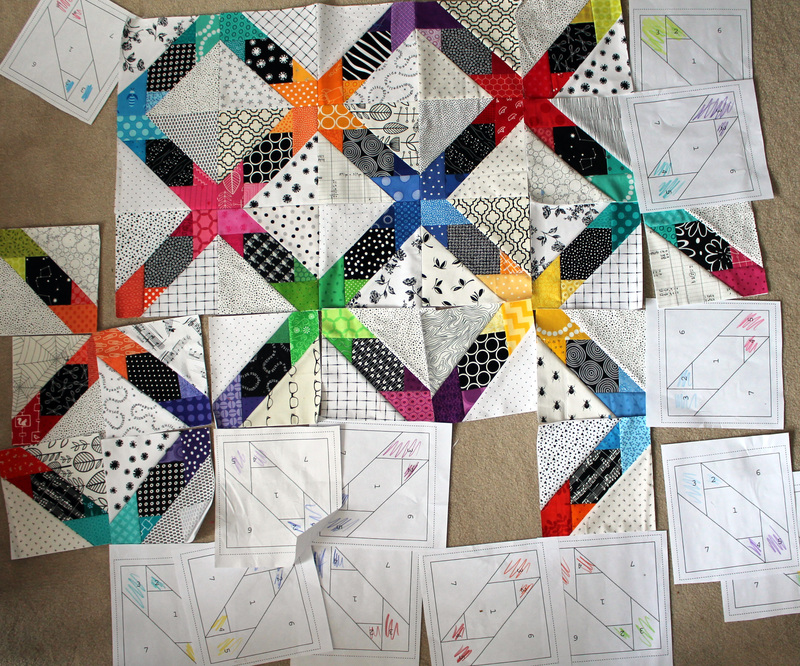 The star crossed blocks are going to make such an awesome quilt. Just colorful enough, graphic geometric cool and fun.